What will Greet Gold in H2, 2013: India Festival Demand or India Import Curbs? While one cannot ascertain if gold imports by India would be met with added curbs, the Finance Ministry here is sure to lose sleep over the matter as festivities kick in and Rupee rout continues. The second half of 2013 is marked by festivities in India and thereby enhanced gold demand. From Ramadan to Diwali to Dusserah to Dhanteras, Indians would go on a spiritual and materialistic binge bringing cheers to the markets and dating optimism. But will that be the case this time around too as Current Account Deficit is still the Guerrilla in the room contributing substantially to Rupee weakness which has fallen to a record 60.22 against Dollar as of writing this. Will there be additional curbs on imports by India government? A recent Reuters’ report quoting unidentified official suggests that this is unlikely as there are threats of enhanced smuggling activities in gold. India recently hiked the import duty on gold to 8% and RBI too put in restrictions on import funding by banks. These measures helped the gold imports by India to come down substantially as latest data say. 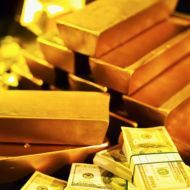 “Import of gold and silver is understood to have declined substantially to $2-2.5 billion in June, much below the $8.39 billion imported in May, and over $7 billion in April,” a senior government official said and was quoted by the Indian Express as saying. June imports of Gold have dipped to a paltry 28 tons when compared to 162 tons in May. Data says that imports of gold to Gujarat, a major consuming centre, dipped to 3.73 tons in June against the 37.61 tons registered in May as per the air cargo complex data. “The physical trend has always been very seasonal,” said Bernard Sin, the head of currency and metal trading at MKS (Switzerland) SA to Bloomberg on gold physical demand. “Physical players are a different breed. They are always buying on the dip. Physical support will continue to be present and it will definitely trigger interest,” he added. It has to be noted that while ETF demand has waned considerably, gold physical demand went up substantially in the past months. Commodity experts are upbeat on crude, zinc, gold and copper, they advise buying them. 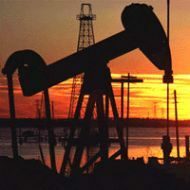 Reena Rohit of Angel Broking advises buying MCX near month crude oil contract around Rs 6,070 per barrel with a stop loss at Rs 6,020 per bbl for target of Rs 6,150 per bbl. Dharmesh Bhatia of Kotak Commodities recommends buying on dips MCX July zinc at Rs 111 per kilogram with stop loss at Rs 110 per kilogram for target of Rs 114 per kilogram. N Prasad of Safetrade Advisors suggests buying MCX gold at Rs 26,300 per 10gm with a stop loss of Rs 26,150 per 10gm for target of Rs 26,600 per 10gm. Sugandha Sachdeva of Religare advocates buying copper at Rs 418 per kilogram with stop loss at Rs 414 per kilogram for initial target of Rs 428 per kilogram with higher targets around Rs 432 per kilogram in coming days.